HP CC364A from TonerforEarth on Big Sale | TonerGreen - Eco-Friendly Toners from the U.S.
TonerforEarth continues to provide ink and toner cartridges at low prices close to its customers. 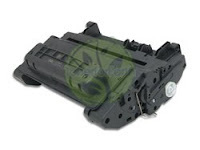 To deal with multiple buyers, toner cartridge HP CC364A now has a better sale price of only $ 44.99. HP CC364A Toner is compatible with the following HP LaserJet printers: LaserJet P4014, LaserJet P4015, and LaserJet P4515. HP CC364A toner from TonerforEarth has been restored to meet or exceed the level of HP CC364A (HP 64A). In fact, there are more toner in the cartridge to ensure maximum efficiency. Each cartridge has been made by trained technicians, each of which is tested for quality and durability before they are shipped to the buyer. As an indication of its commitment to quality, TonerforEarth offers one year guarantee on all cartridges.